Empowering indigenous women – who have higher malnutrition rates than any other social group and typically earn far less than men – is key to successfully fighting hunger and extreme poverty, the United Nations agriculture chief has said. “Indigenous women face a triple discrimination – poverty, gender and ethnicity, both within and outside their communities – making them highly vulnerable,” Jose Graziano da Silva Director-General of the Food and Agriculture Organization (FAO) told the Forum on Indigenous Women in Mexico City this past Friday. They confront far higher rates of poverty, chronic malnutrition and illiteracy while having the least access to health care and political life, he said to the participants from a dozen countries. About five per cent of the global population and 15 per cent of the world’s poorest, or some 370 million people, self-identify as indigenous. In Latin America and the Caribbean region, 15 per cent of the approximately 45 million indigenous peoples face insecurity and extreme poverty. 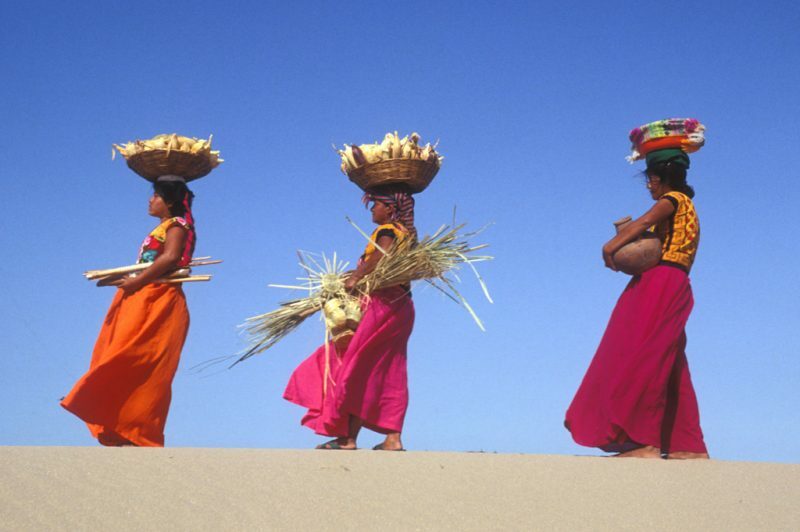 Indigenous women in the region encounter higher poverty and malnutrition rates than any other social group, and typically earn four times less than men, according to FAO’s new Regional Atlas of Rural Women. The situation is even worse for women in the more than 5,000 indigenous groups, spread across over 90 countries around the world. “Their social and economic empowerment is not only an excellent way to support them, but a necessary condition to eradicate hunger and malnutrition in their communities,” underscored Mr. da Silva. He noted that the UN’s decision to begin a Family Farming Decade in 2019 offers a platform to focus on rural livelihoods – where most indigenous peoples work. The FAO-organized three-day forum aims to develop public policy recommendations to empower indigenous women, strengthen their decision-making and recognize their rights. Although indigenous women are key actors in protecting biodiversity, adapting to climate change and varying nutritious diets, they are often forgotten in development plans. “They have fundamental roles in the spiritual, social and family arenas and are seed guardians – critical carriers of specialized knowledge,” underscored Mr. da Silva. “With political will, we can put an end to discrimination against indigenous women,” he affirmed.